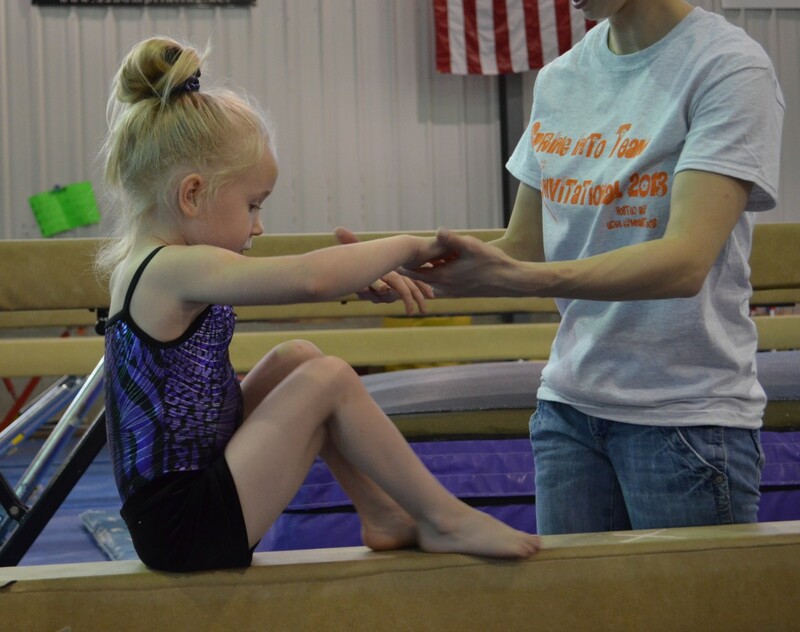 When my daughter first became interested in gymnastics, we had no idea that it would become such a big part of our lives. Now, from November to March, our life pretty much revolves around the next meet, team practice, and private session. Sometimes when someone tells me they can’t wait until their child is in gymnastics, I want to tell them that it isn’t all medals and smiles. But I don’t. I admit it’s hard work, but in the end, it’s all worth it. 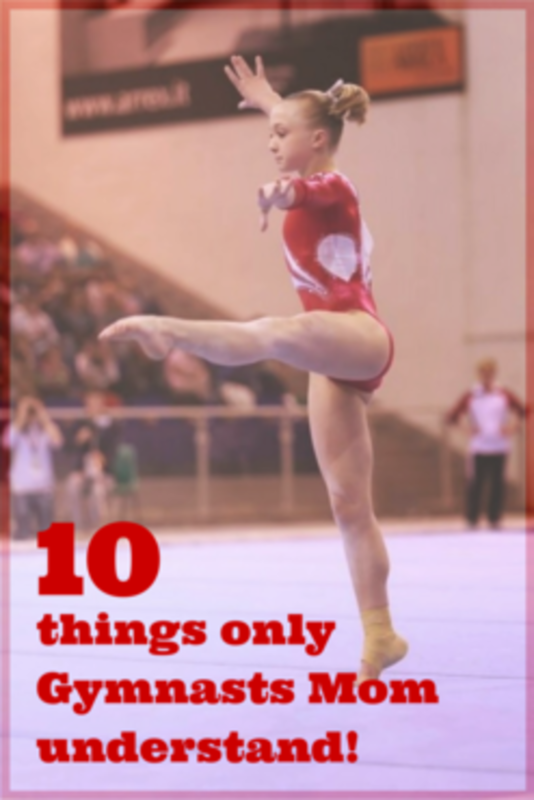 Below, I share ten things only gymnast’s moms understand. If you are a veteran mom, you will totally get what I’m saying, and if you're a newbie, you will get a glimpse into the glamorous life of a gymnastics mom. My daughter LOVES music. In fact, she has loved music since she was a little girl. After doing two years of compulsory gymnastics, she had the opportunity to pick her floor music. From that moment on, music was never the same again. Don’t get me wrong; she stills loves music, but now, every song on the radio must be picked apart to determine if it would be great floor music. Where do you find good floor music for gymnastic routines? The first time my daughter ripped the palm of her hand, we were both upset about it. She wore a band-aid for about a week and avoided the bars at all cost. Now her hands look like they do manual labor, think lumberjack, for a living, and she doesn’t say a word about it. Now, she announces when she gets rips on her palms because she says every rip is a sign she just got better. Spontaneous gymnastics can happen anywhere. Long before she was a gymnast, my little tomboy would climb the walls in my home. I don’t mean that theoretically! She literally would climb the walls like Spiderman, especially doorways. 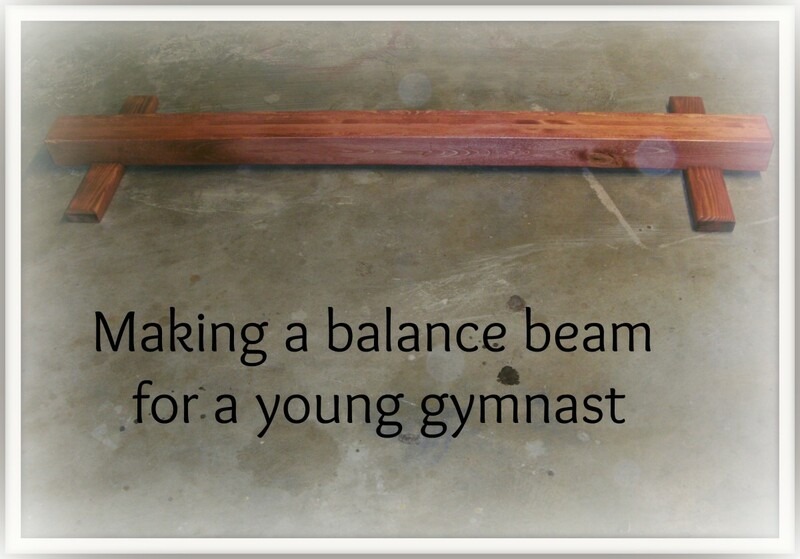 When she started gymnastics, we got her a practice mat and a beam. As she has progressed in gymnastics, I have lost more of my floor space to her practice equipment. In fact, I use to have a living room, and then I needed more space for training equipment. 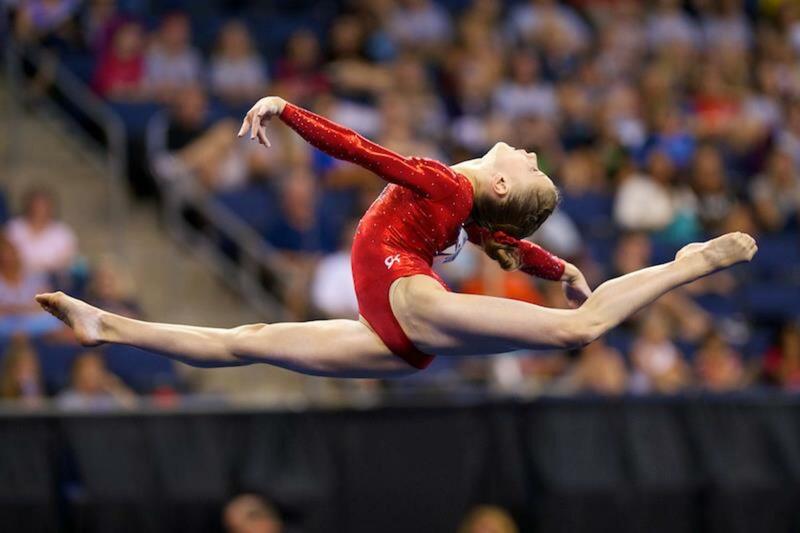 Are you the mom or dad of a gymnast? I know gymnasts are ripped, but I didn’t expect to see my 10-year-old walking around with ab muscles and massive arms and legs. She has bigger muscles than me, and she is closing in on her dad too. While people in our family like to joke that she started developing shoulder muscles in the womb, it isn’t true. 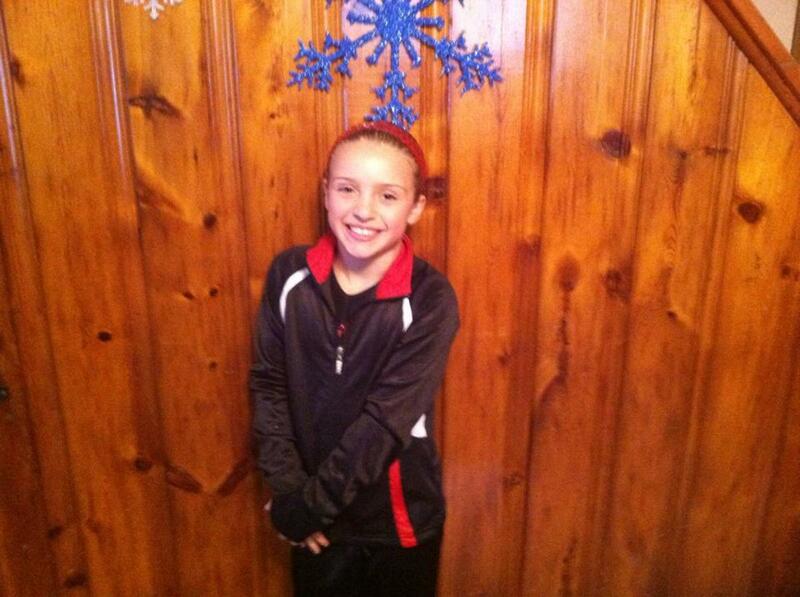 Gymnastics has given her confidence and a body that rivals professional body builders. When my daughter started gymnastics, I was surprised at how expensive gymnastics leotards were. Then I had to buy my first competition "leo." Today, competition leos are the most expensive items in my daughter’s closet. I know what you are thinking, not all gymnastics moms yell at competitions. While this may be true, I bet you’ll find that more moms cheer than don’t. When we attend my daughter’s meets, she never has to worry about where I’m sitting or whether I’m watching. Instead, she just has to listen. Unlike some moms, I don’t just cheer for my kid. I cheer for each of my daughter’s teammates…all them. 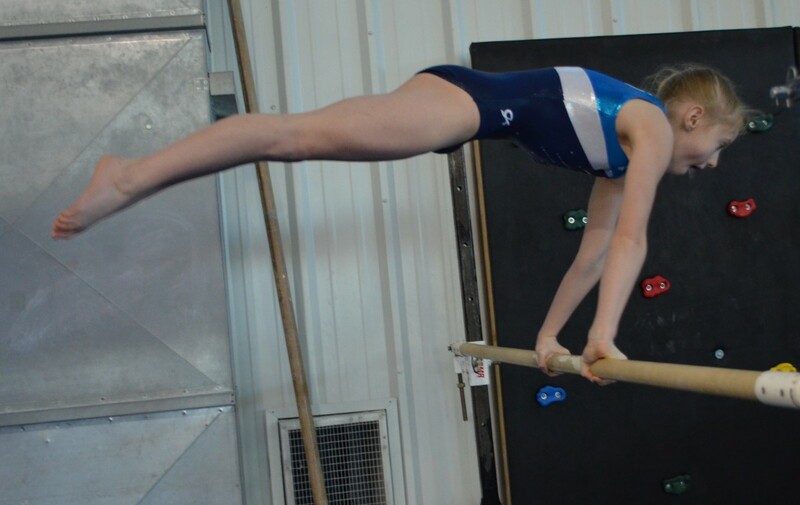 Breathing isn't allowed when your child is on the balance beam. 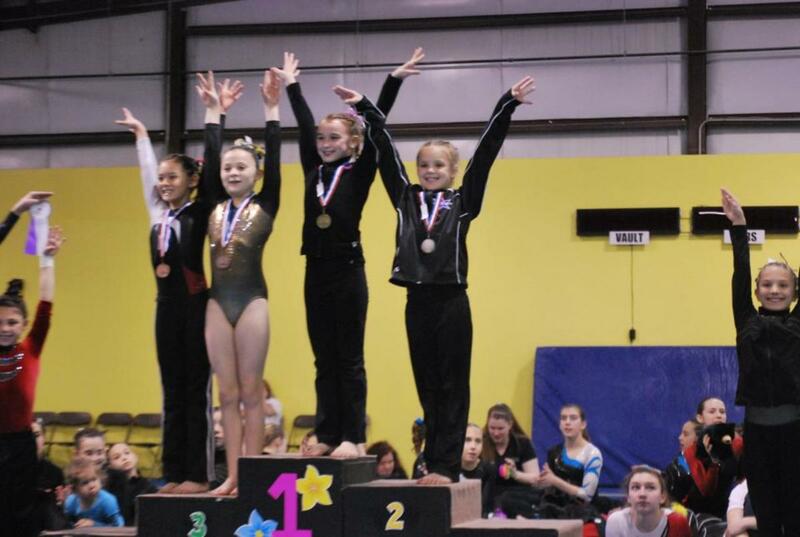 I never realized how anxious I could be until I saw my daughter compete for the first time. As her skills have progressed, and her level become more difficult, my anxiety has got worse. I used to watch with hopeful anxiety that she would be able to control her front hip circle on the uneven bars. Now, I hold my breath with one eye closed and a hand in front of my face while she is on the beam. I like to think that it will get better someday, but I don't believe that it will. I’ve seen pictures of Olympians’ parents, and I recognize those faces. They're hopeful they will nail it and ready for a train wreck, too. Our home, gym, and school are in the same town, so we don’t have hours of travel each week, but my car is still my gymnast’s home away from home. Our car is just a dressing room on wheels. Some days, she does homework, eats lunch, dinner, snacks, etc., and other days, it’s a mobile dressing room. Whatever has to be done to get ready for gymnastics is usually done in my car. Thanks, Lorelei! I wouldn't have it any other way! Oh how very true all of these are. It takes a special love to be a gymnasts mom. My daughter is now in her late 40s, and she is STILL a gymnast. It began many years ago, and I could have written the first piece in this post. She loved the sport from the get-go, and thanks to wonderful coaches and superb teammates, she became a member of a competitive team called the Del*Stars. She went to the gym almost daily from the age of 7 until at age 17, her body finally matured, and the difficulty of her tricks became too scary to perform. Sadly she hung up her leotards, finished high school, and went off to college. After college she saw an article in the local newspaper about her former coach; he was now coaching at a different facility as the gym where she had learned her skills was no longer in operation. She asked me to go with her to visit him, and we did. He was very happy to see her, and as they talked, I noticed her toes were pointing, and she was rubbing her hands on the chalky mat. Next thing I knew, she was back in the gym, and soon after was competing with girls half her age! That lasted a few years until she, herself, began coaching. She met and fell in love with a boys' gymnastic coach, they married, and now they are raising two sons who are ages 14 and 17. As for her job, she coaches gymnastics! I said at the beginning of this that she is STILL a gymnast, and she is. A few days ago her husband was showing off in a new facility, and challenged her to do a back flip with a full twist, so she accepted that challenge by doing a round off, back handspring into a full twist, landing in a pile of foam! Her form is still awesome, and she still makes me a very, very proud gymnast's mom! It truly is amazing. Another thing I notice with my daughter, she's 10, is the huge amounts of confidence she has in the gym and out of it. I have a friend whose daughter got into gymnastics when she was younger. The mastery of the body is what I admire most.